Nashville MMA featherweight Luke Sanders (4-0) improved his undefeated record to 4-0 this past Friday night with a first round TKO stoppage of Reaction MMA’s Zach Sanders (4-2) on the HDNet televised main card of “XFC 18: Music City Mayhem” in Nashville, Tenn.
As far as what’s next, Luke said, “Just keep getting better. I’ve got a ways to improve. 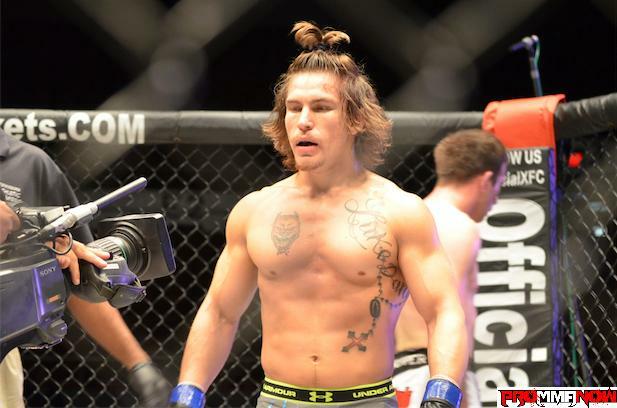 … Just get better and improving, try to get another win under my belt and stay active and just keep getting better.” A Strikeforce and XFC veteran with four pro fights under his belt, four victories and four first round stoppages, Luke Sanders is a fighter to keep your eye on. Follow Luke on Twitter @SandersMMA. Check out more XFC 18 post-fight interviews and stay tuned for many more to come. Also, see our photo gallery from the event, as well as our complete play-by-play commentary on each bout.